Soda Jerk Soda will be relocating to Western New York at the end of the Summer Farmers Market Season. Seattle has been a great place to start a business and we have grown every year, but an opportunity has come up that cannot be passed up. The opportunity to work side by side with my brother, the head brewer at Four Mile Brewing, and create amazing new beverages is a dream come true. While I can’t yet reveal specific details of plans for Soda Jerk I will say it includes both a service location and canning for retail distribution. Soda Jerk’s last day of service in Seattle will be October 14th at the Ballard Farmers Market. We still have plenty of days until then where you can get your favorite Soda Jerk Soda. 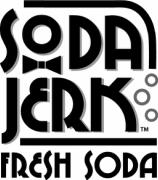 Check out our website for all our remaining events and festivals http://www.sodajerksoda.com/schedule.html. Thank you so much Seattle for all of your support over the past 6 years, I will miss you all. Please continue to follow us for updates, progress and opportunities to get cans shipped direct in the future.